Love strawberries? Don’t miss this! 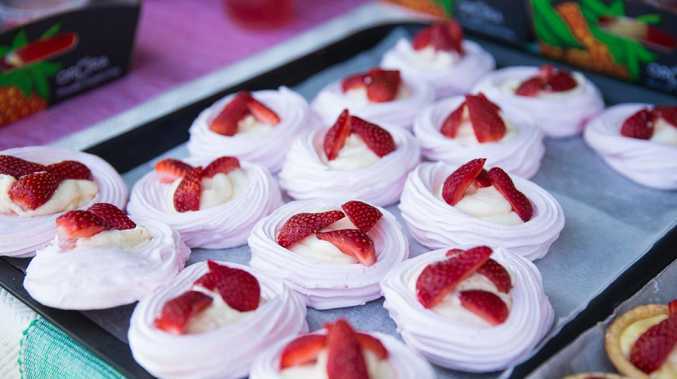 THEY'RE juicy and sweet and in abundant supply at this time of year, so Sandstone Point Hotel's Strawberry Festival is perfectly timed. Marketing manager Toni Forrest says the event on August 18 is in its fourth year and has a program bound to bring a strawberry smile to faces of all ages. "It has something for everyone. It gets the community involved and there's nothing like it in the area," she explains. 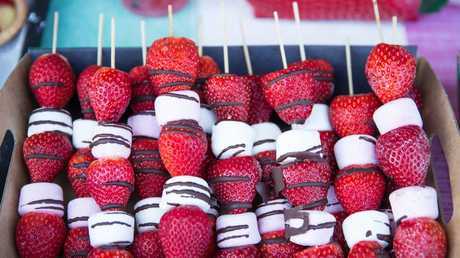 Growers will have stalls selling fresh fruit, chocolate-coated strawberries, jams, ice cream and more, and the hotel's Strawberry Patch Bar will offer an all-strawberry drinks menu. There will also be live music and entertainment, children's rides, petting zoo, a strawberry eating competition and fireworks after last light. The team from Paw Patrol is expected to draw a big crowd when they perform on stage at noon and 2pm. There will also be a meet and greet at 1pm (conditions apply). Sandstone Point Hotel owner Rob Comiskey says with so many strawberries grown locally, it makes sense to host an event during the season. "It is widely known that 40 per cent of Queensland strawberries come from our local Moreton Bay Region. We created the Strawberry Festival so we could celebrate not only a delicious fruit but our local strawberry farmers," he says. "We have plenty of farmers joining in on the festivities selling everything from farm fresh strawberries to strawberry jams." The event is on from 11am-8pm. You can buy tickets at the gate, but Toni recommends booking online to ensure you have a ticket before the event sells out. The hotel will be capping attendance at 6000 to ensure the venue is not overcrowded. Tickets are $5 adults, $2 children plus online booking fee of 50 cents. The event is proudly supported by Quest Community News and Pacific Harbour Bribie Island. 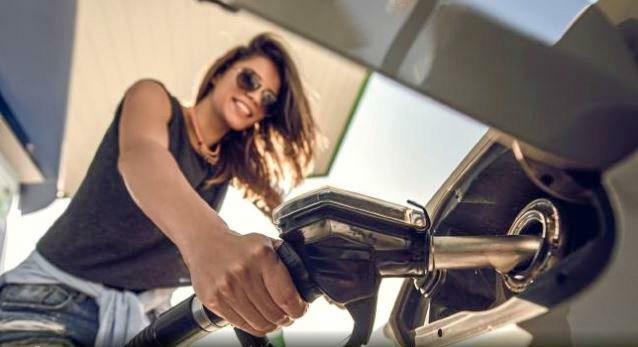 News IF you need to top up the tank today and are searching for the cheapest servo on the Coffs Coast, look no further. Politics It's almost election time, who's got your vote? News High-visibility police operation will target anti-social behaviour.